Boat races train - train wins! 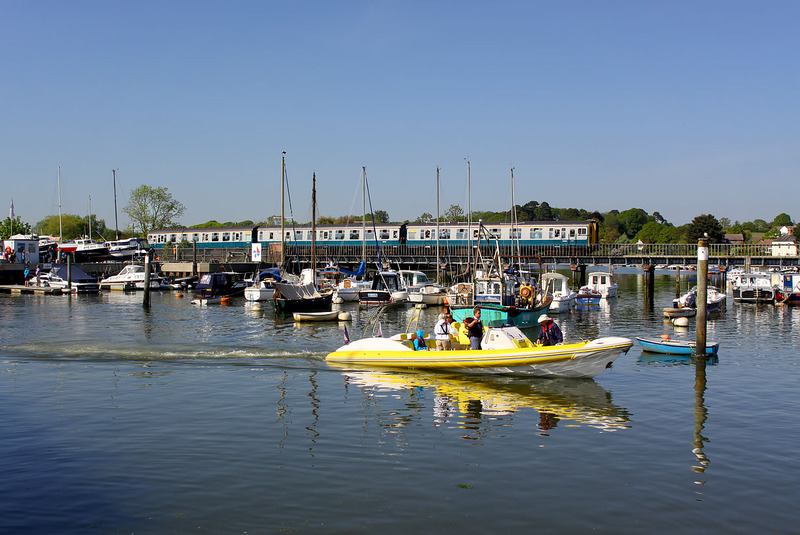 Class 421 3-CIG 1497 Freshwater crosses Lymington Harbour with the 16:29 Brockenhurst to Lymington Pier service on 22 May 2010. This was the final day of slam door EMU operation on the branch, and hence every available vantage point on the quayside was crowded with photographers.